After having completed the process of purchasing online, it’s time to choose your pick-up location. We currently offer more than 160 pickup points, including our Buyandship redemption center, our eLink lockers, Alfred Smart lockers, SF Express locations, etc., which are located in various areas of Hong Kong, Kowloon and New Territories. Conveniently pick up your parcels near you! However, there are a few important things to mention, for a even quicker and more efficient parcel redemption. Since we are expected an overwhelming amount of shipments to our warehouse, so required time to process every parcel consolidation will probably be slightly longer than usual, so please bear with us and we thank you in advance for your understanding. ~ So if you want to receive your orders as soon as possible, we highly recommend you to choose the Single Shipment method. This way, you don’t have to wait until all parcel arrive at the warehouse, and you will receive your individual parcels sooner. 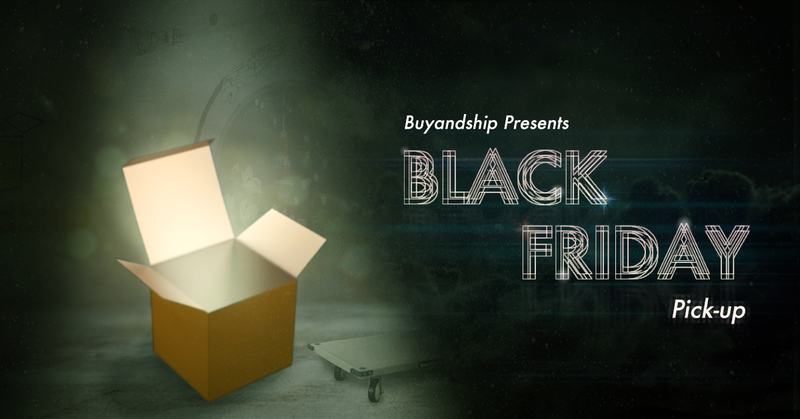 Furthermore, if you use Single Shipment as your shipping method, you also have the chance to win the latest smartphones, please stay tuned until we announce how to join in our Buyandship Lucky Draw. If you want to receive your parcel urgently or have ordered a Christmas present, we advise you to choose either our Buyandship Redemption Center or our eLink lockers, because these two options will be the fastest methods for you to obtain your parcel. Due to the different size restrictions of Alfred Smart Lockers and SF Express stations, if you purchase a large-scale product such as Dyson vacuum cleaner, we recommend you to also choose Buyandship or eLink as a pick-up location! Furthermore, you will also receive your parcel faster than at other pick-up points. On a final note: Our customer service team is trying their best to always answer your questions or enquiries within 30 minutes, but since we will receive more inquiries than usual during ThanksGiving / Black Friday / Cyber ​​Monday, we may need an average of 2-3h to answer. Thank you in advance for your patience and your understanding!